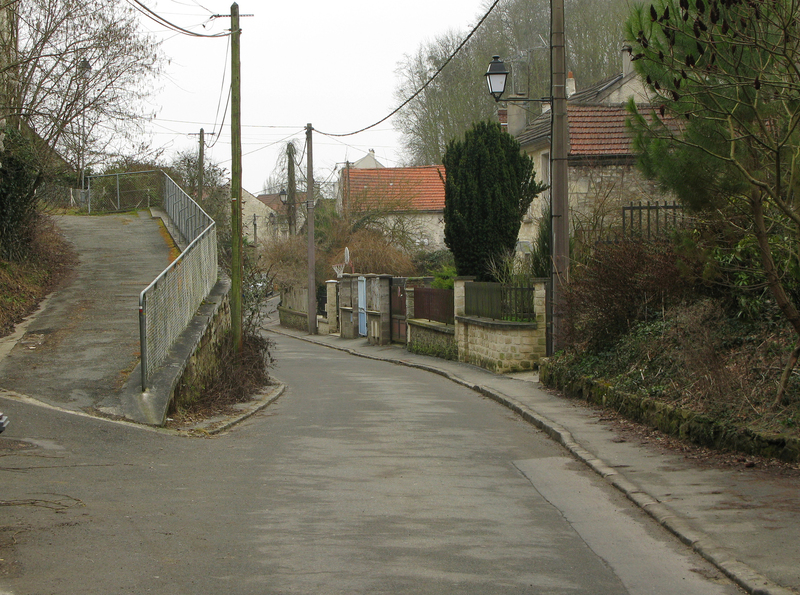 Among the sites recently discovered in the Auvers/Pontoise region is one of a turn in the road entitled La Route tournante au Valhermeil à Auvers-sur-Oise (Fig. 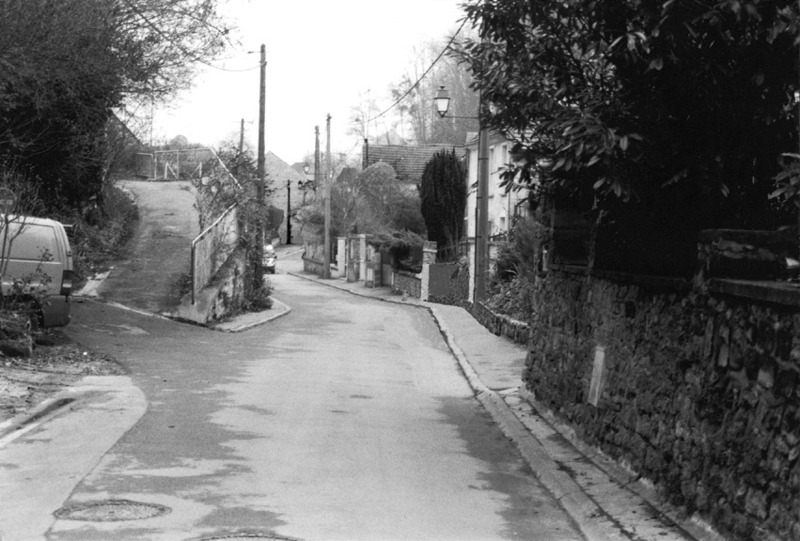 23b) from the same year as Moulin sur la Couleuvre. Unlike the latter, this one is painted purely with parallel strokes. 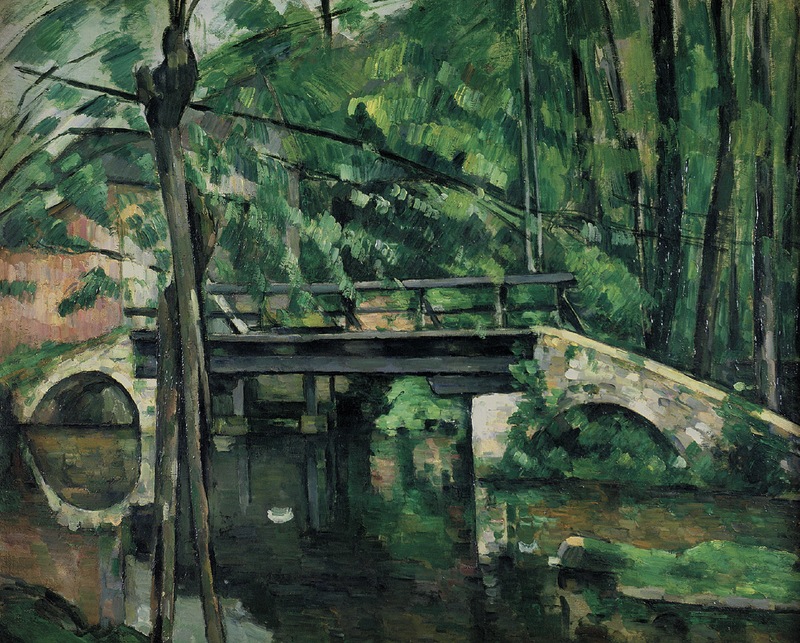 They describe all the textures visible to Cézanne: foliage, grass, road, thatched roofs, even sky. In the road, they are horizontal and in the thatch diagonal, in each case to suggest the orientation of the texture in question; in the trees, however, at least near the middle of the canvas, they are independent of the leaves and point down toward the center of the composition. As in Le Pont de Maincy, then, they serve both to represent objects and to organize the canvas. 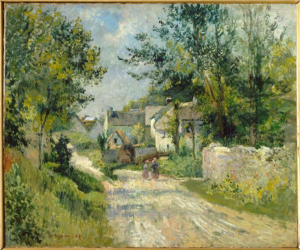 They guarantee – as much as do the black-white contrasts, the red/brown roof, and the cart on the road – that the painting will have a firm center. 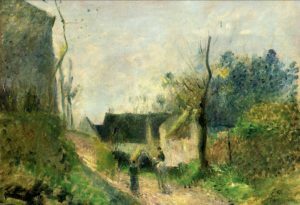 Nevertheless, here the parallel touches seem less natural than in Le Pont de Maincy ; they remain detached from each other even where they are meant to represent a flat surface, as in the road and the sky, and the painting seems brittle and granular as a result. Nothing in the record suggests an explanation. The painting may be at an early stage, one in which the composition is well in place but the final surface is still unresolved; or Cézanne may have been influenced by the style of Pissarro, or even by the style of the young Impressionist Victor Vignon, who each painted a somewhat cottony version of the site at about the same time. Cézanne may have known their paintings; the animal presence in the road is rare in his work but frequent in the other two painters, and some degree of influence may be assumed; but whatever the explanation, the use of the parallel touch here is less assured. 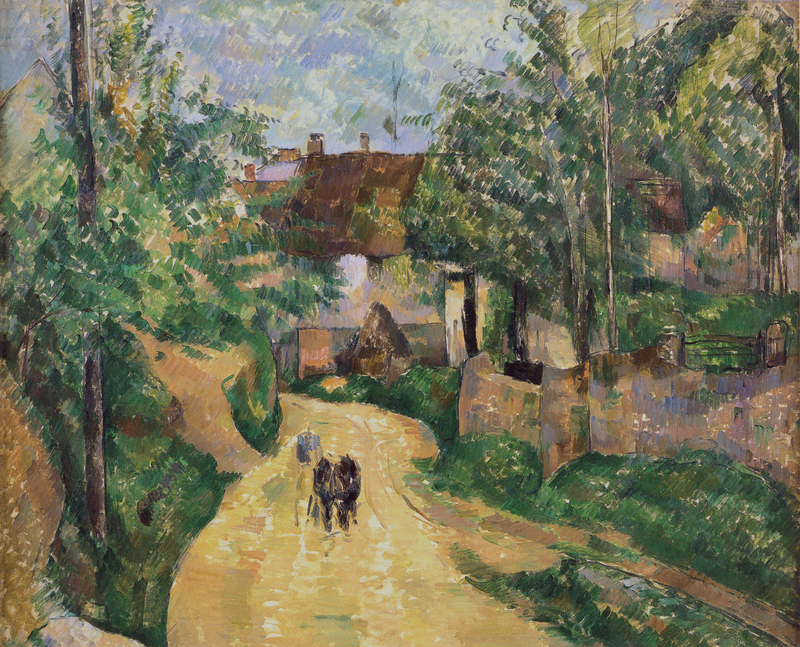 Adapted from Pavel Machotka, Cézanne: Landscape into art. By Alain Mothe, as documented in his Ce Que Voyait Cézanne. 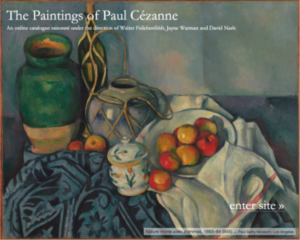 Alain Mothe thinked it possible that Cézanne and Vignon painted together, given the similar composition and season (personal communication).